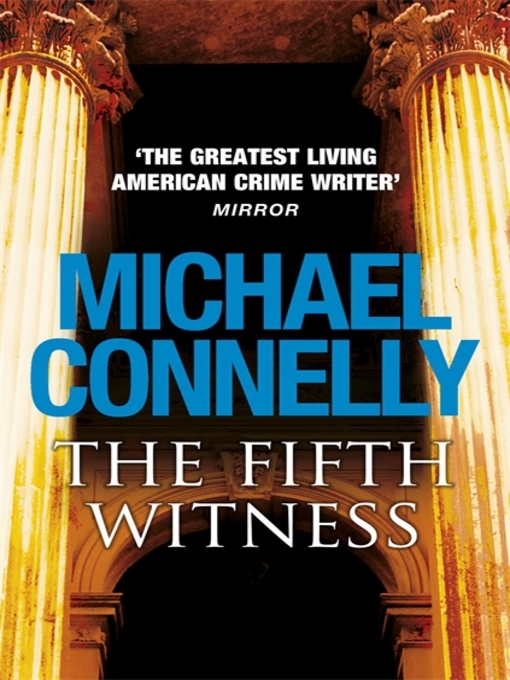 Browsing the best seller lists I noticed Michael Connelly’s The Fifth Witness and I realised that as I read it before I joined up with The Mystery Bookshelf that it may be an opportune time to revisit it and post a review so here goes…. This is a very enjoyable and fast paced read. Mickey Haller obviously takes centre stage and it’s nice to see Matthew McConaughy get a namecheck in the book given the recent release of “The Lincoln Lawyer” in cinemas. The Fifth Witness explores the mortgage meltdown in the US and the fraudulent practices among the foreclosure firms which results in a murder trial. Haller like any good defense attorney studiously avoids the question of whether his client is guilty or not but exploits every trick in the book to get an acquittal. There are some nice twists in the tail as the trial swings for and against him but even then not everything is as it seems leaving room for him to possibly grow a conscience and just maybe to continue on from his role in “The Reversal”. Nearly everyone knows Connelly by now and if you buy this you certainly won’t be disappointed. Synopsis: Mickey Haller has fallen on tough times. He expands his business into foreclosure defense, only to see one of his clients accused of killing the banker she blames for trying to take away her home. Mickey puts his team into high gear to exonerate Lisa Trammel, even though the evidence and his own suspicions tell him his client is guilty. Soon after he learns that the victim had black market dealings of his own, Haller is assaulted, too–and he’s certain he’s on the right trail. Despite the danger and uncertainty, Haller mounts the best defense of his career in a trial where the last surprise comes after the verdict is in.